Notes: This is a relatively new product from Buffalo Trace. 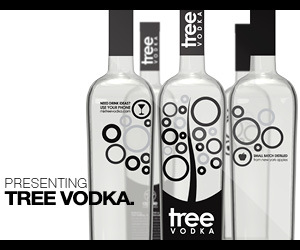 Formerly only available from the distillery gift shop we are now seeing this product in stores. This is the distillate that comes off the still at Buffalo Trace at barrel strength .They use corn, rye and barley in a bourbon mashbill (recipe) as a base and rather than age it, bottle it directly to preserve the full on white whiskey taste . It differs from some others who use wheat rather than rye (along the lines of the Van Winkle Bourbons and Makers Mark). Their many other products include a wide range of bourbons and ryes and their antique collection which is a (at least) yearly collection of small batch products . 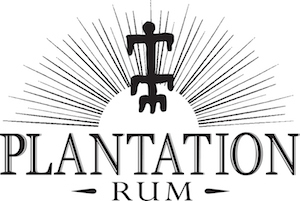 The following are a few links to reviews of their products we have done: Ancient Age, Ancient Ancient Age, Eagle Rare 10 year-old, Eagle Rare 17 year-old, Blanton’s, Rock Hill Farms, Hancock Reserve, Elmer T. Lee and their Wheated Bourbon Series; W. L. Weller Special Reserve, and W. L. Weller 12 . (See our Adventure Section for a tour of the distillery). As a sidebar my first introduction to this product was at Tales of the Cocktail 2 years ago, at some bar around 4 AM, where people male, female and indeterminate gender from Tales were dancing on the bar and getting quite rowdy even for Tales. As usual someone had been feeding alcohol to these reptiles yet again and things as usual went downhill from there. But that is a story for another time….. I did remember though enjoying this spirit and am glad it is finally widely available without having to got to Buffalo Trace (which I highly recommend but I like to be abe to buy it locally). Appearance: Very thin edge line on the glass when you swirl it, smooth layer of whiskey on swirling, after quite a bit of time some scalloping, then a few thin legs and finally very small droplets forming at the edgeline. First Impression: Unmistakably corn whiskey. Fragrant corn smell, but less sweet than a number of others. The rye in particular lends a in turns sour, sweet, and spicy underlayment for the bouquet. Taste: Sweet, spicy smooth start, mellow mouthfeel, to it. Sweeter than a number of other corn whiskies such as Glen Thunder from Finger Lakes Distilling or Smooth Ambler but balanced out with a heavy spice of rye and earthy barley notes to give depth and complexity. Slight drying corn meal notes and tingling at midpoint of the tongue. Finish is medium short , quite smooth (especially for 125 proof) with a warming glow. A very skillful blending of grains to make a harmonious and tasty whiskey.This is particularly difficult as this is a young, naked whiskey, it can’t hide behind wood aging. 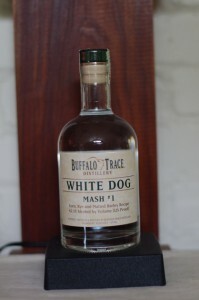 Drinks: There is a dearth of drinks recipes for new make or white dog whiskey. Think vodka color, Old Tom Gin in graininess with no juniper. Closest we can come to is a Genever (Jenever) or Roogenaar (similar to Genever) not that any of these coparisons is more helpful. Works nicely in a variation of a Tom Collins, Manhattan or a sour – we especially liked a Pisco Sour swapping out the Pisco for White Dog we call this variation The Pit Bull (now added to the New 75th Anniversary Edition of the Mr.Boston Official Bartenders Guide). We also found the this white whiskey worked well paired with meat or fish. Cigars: Something mild but complex so as not to lose the nuances. A Fuente Work of Art, Rocky Patel or possibly a Ghurka. Bottle: Short clear glass .Small size also makes it stand out . Simple paper seal is used instead of a neckwrap making it easy to open and the composite cork closure (what it lacks in character it makes up for in sealing). Final Thoughts: A very complex white whiskeywith outstanding taste and smoothness. Highly reccomended as an addtion to both your mixing and whiskey cabinet.